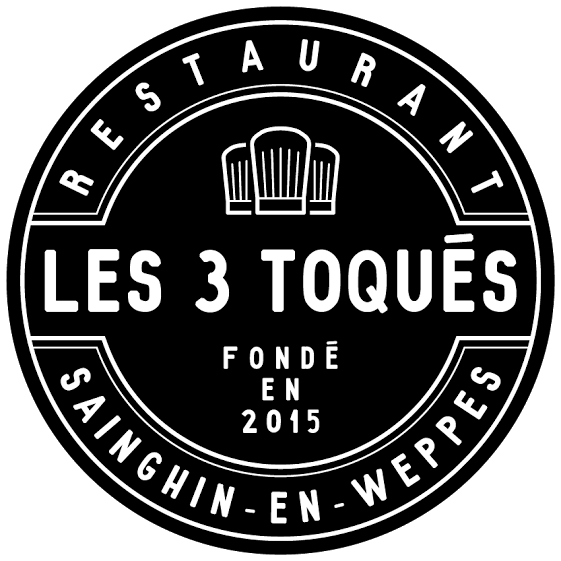 The restaurant Les 3 Toqués arose from the dream of a trio of Epicurians crazy about cooking: Paul, Julien and Louise, who are eager to share with you the love of the good fresh local products from small producers. It is in Sainghin-en-Weppes, within the framework of a former hardware store, in only 15 minutes from Lille and Lens, that we settled our stoves to propose you a “frais-maison” cooking. In the pleasure to welcome you at our home!